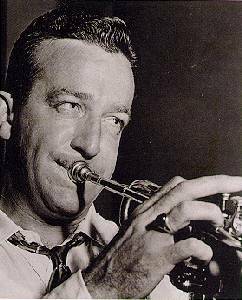 Harry James was the most famous trumpet player during the swing era. He was born in 1916 into a circus family. While with Ben Pollack's big band, he made his recording debut in 1935. 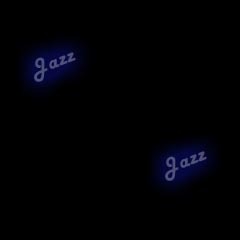 From 1937-39, he played with Benny Goodman's big band and became a star, with his wide range and impressive technique that he even used to play boldly on cheesy ballads. He formed his own big band in 1939 with Goodman's blessing. Initially the band struggled, but in 1940, James hit it big with an instrumental version of the song You made me Love You. His band then had a huge following and while Glenn Miller's band was in the Army from 1942-44, James' band was the most popular in the world. They recorded more hits, such as Strictly Instrumental, Sleepy Lagoon, I'll Get By, I Had the Craziest Dream and It's Been a Long Long Time. He went on to marry actress Betty Grable. He added strings to his band for a few years, and his popularity was such that he was able to keep his band together. His band featured such players as Buddy Rich, Louis Bellson, Corky Corcoran, and Willie Smith. He eventually cut down to an octet, but reorganized his big band in 1960. He remained popular into the early 80s, but died in 1983.